Series of online photos has emerged suggesting the winner of the next Ballon d’Or award will be Christiano Ronaldo. The award is to be held in Paris today 7th Dec but the images strongly suggest that some big commercial organisations like Nike already knows the winner! 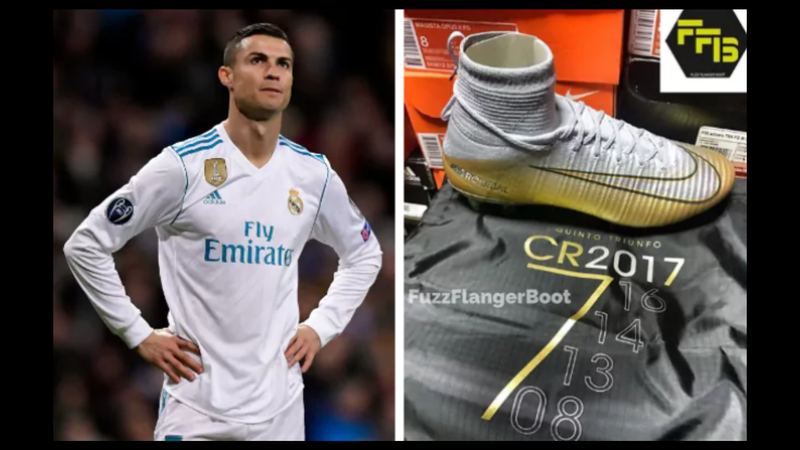 The instagram account of a soccer boot retailer FUZZFLANGERBOOT Showed a boot with ‘Quinto Trinmfo’ or ‘Fifth Triumph’ inscribed on it with C7. Lionel Messi has won the award 5 times and Ronaldo achieved it 4 times but this leak suggest Ronaldo will equal Messi’s tally with a 5th Award.